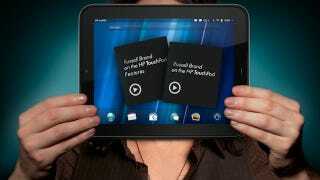 The HP TouchPad, the Michael Myers-like tablet that just won't die, just popped up on Woot for a pretty cheapish $220. Two benji's and a jacksonw will score you the 32GB version. That's a little more expensive than it was during the great firesale of 2011 but with webOS becoming open source, maybe there's value in it!